The Puig Pro Frame Sliders feature a sizable Nylon puck that measures 130mm x 58mm. No bodywork modification is required with these sliders as they mount via billet aluminum brackets that position the slider pick between the width of the stock bars and footpegs. This mid-length design keeps the handle bars and bodywork off of the ground while reducing the chance of the Puig Pro Slider catching on obstructions and flipping the motorcycle. 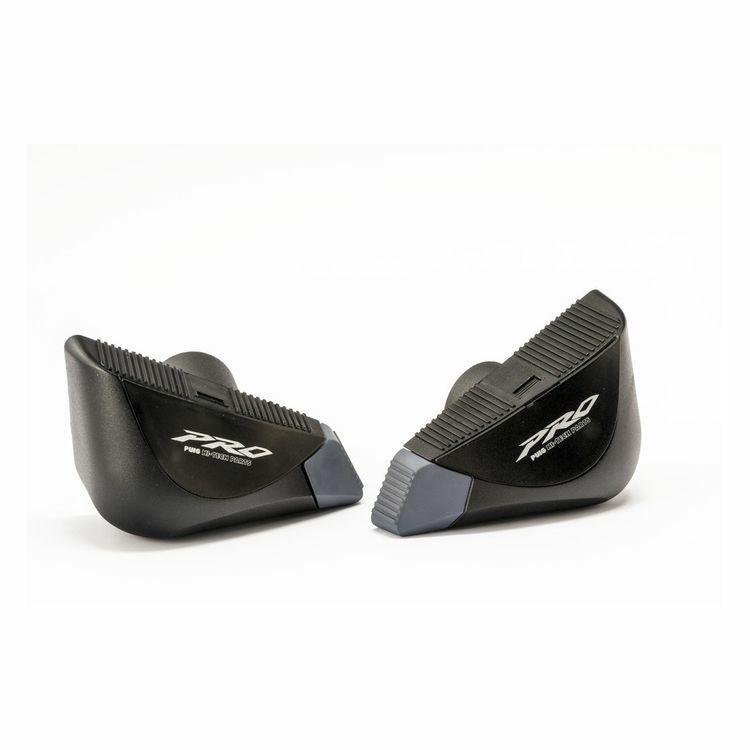 The rubber bumper softens impact with your shins and knees in the event of a crash or fall. Note: Image for reference only. Actual Puig Pro Frame Sliders may vary slightly depending on your make and model.